I chanced upon a government employee who is about to reach the age of 60. And I successfully convinced him for an interview over a cup of coffee. Interviewer: Sir, I hope you won’t mind if I will ask you a number of questions pertaining your person and your career. I understand that you are already planning for your retirement. Government employee: That is correct. Several months from now, I will be celebrating my 60th birthday. If I were a Japanese, I would have been 61 already. You see, the counting starts at conception rather than birth in that country. I am by all standards, well as far as this country is concerned, about to become a senior citizen already. I: But in government, the retirement age is 65. There are even some legislators who are planning to increase it to 70. Why early retirement? GE: In the private sector, the retirement age is, well depending actually on one’s job. An athlete may retire at 30. Most boxers retire at 35 actually. Corporations have pegged retirement at age 45. In the military, it is 56. In government, where I belong, it is 65. In the judiciary and the Church, it is 70. In my case, I think 60 is ideal. I would have bowed out when I reached 55 but I have as yet to make up my mind because I had no idea then where to spend the rest of my retirement years ahead. Well, now, more or less, I know already. I: How do you intend to spend your retirement years? There are cases where the retiree suddenly would weaken, would lose his bearing and eventually, well, gets incapacitated and becomes a vegetable. GE: It could happen, you are correct there. I know a lot of retirees who eventually succumbed to sickness, their health degenerated. Their new found freedom, lack of stress, lack of hassle and pressure would contribute health hazards in terms of undisciplined intake of food, lack of exercise and movement. 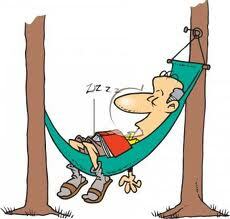 The retiree also would no longer be compelled to read updates and would rather spend the entire day sleeping. On top of Alzeimers, he gets muscular atrophy and then his heart would weaken side by side his declining memory. You are correct there. In my case, my hands are full and I will never fall flat on inactivity. I: So, there is actually no retirement for you, just a paradigm shift. GE: You hit it correctly. You know, in government, work is a sacrifice. You do your job properly, you are watched, observed for any error. Do your job exceptionally well, you become a target for intrigue. Exhibit initiative, you become a suspect. Government service does not require extraordinary diligence, just be ordinary. Do better; you are to be doubted already. Imagine working for years being watched closely and considered dubious at that. In retirement, one gets off from being a suspect. One is freed from being intrigued. One is free to be extraordinary, to be greater, to be exceptionally accepted. That is what retirement is all about, a shift in paradigm. I: You mean, government service is reserved for the average worker only? GE: Government service is not a form of livelihood. You want to get your comeuppance, organize a business. Government service is no stage for the brilliant. You want recognition, go to the private sector. In the private sector, initiative is highly respected. In government, initiative is a crime. I: How do you see yourself now that you are about to leave government service? GE: A bit frustrated. Bureaucrats never had a real life in the service of the people; they are restricted by layers of rules and fears. I could have done better, I could have accomplished much, I could have offered more sacrifices. Early retirement affords me a period when I would still be agile enough to get back at those who ruined government service. I: But how come there are a lot of people who wanted to get into the bureaucracy and even spending a fortune to get elected just to work in government? GE: That is also one of the reasons I wanted to retire, I have had so much of hell already. Posted on January 22, 2014, in Uncategorized. Bookmark the permalink. Leave a comment.